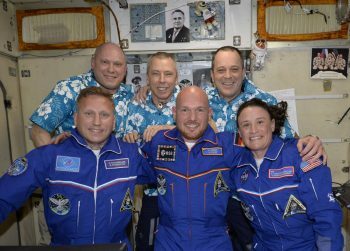 After orbiting Earth 34 times to catch up to the International Space Station, the car-sized spacecraft carrying ESA astronaut Alexander Gerst, NASA astronaut Serena Auñón-Chancellor and Roscosmos commander Sergei Prokopyev, arrived at the Station two days after launch. 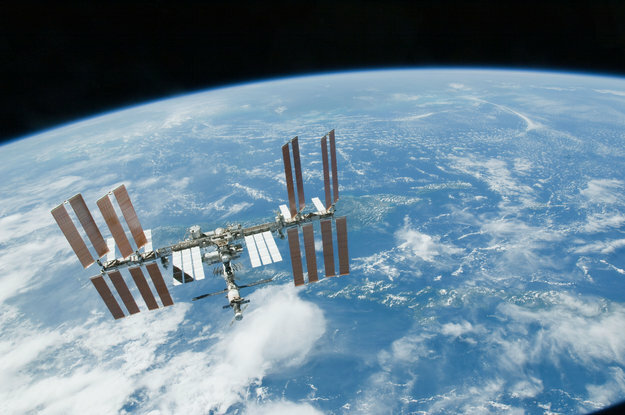 The German astronaut is a returning visitor to the International Space Station, the first of ESA’s 2009 class of astronauts to be sent into space for a second time. During the second part of his mission Alexander will take over as commander of the International Space Station, only the second time an ESA astronaut will take on this role so far. The mission is called Horizons as a symbol for the unknown and what lies beyond – reflecting on ESA’s strategy to extend human and robotic exploration beyond Earth orbit. While in space, Alexander will work on over 50 European experiments, including testing ways of operating and working with robots to develop techniques required for further human and robotic exploration of our Solar System. Dann mal schöne Tage zu Hause. I’d really like to see and read the blog entry, but the language won’t change from my standard (German) to English. I can click and click or even change the address line, but it always flips back to German and only shows the line „Sorry this entry is only available in American English“. This happens as well on my Windows 10 computer as on my iOS smartphone. I see the mouse, but where is the elephant?